This is a four-day holiday based at a cyclist-friendly hotel in Amsterdam. 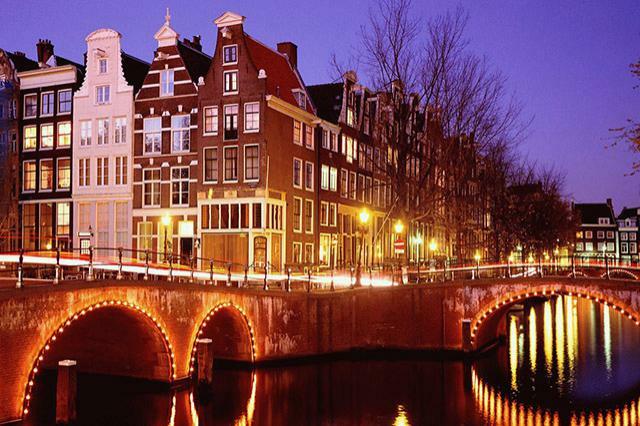 You will stay three nights in Amsterdam and have two full days at your disposal for cycling. We have devised four routes for you to choose from, so you can decide for yourself where you would like to go: the fishing village of Volendam and cheese town Edam; the world-famous windmills at Zaanse Schans; Muiderslot Castle; or the elegant city of Haarlem. When planning your journey to Amsterdam, do try to arrive early and depart late in the day so you can make the most of days 1 and 4 and possibly go for a spin then too. This could also be the ideal holiday for those groups with conflicting priorities, like when the gentlemen prefer a long cycling trip whereas the ladies have their hearts set on Van Gogh. Meet up again in the evening over a bowl of stamppot to discuss your day.